You may be nervous about taking your first lesson, or you may be more experienced and just need a few extra lessons to pass. Whatever your experience level, please give me a call. I am a fully qualified DSA registered instructor with over 20 years experience, a high pass rate and excellent local reputation, offering patient and friendly tuition tailored to suit your individual needs. Learning should be an enjoyable experience, but not everyone learns with ease or at the same pace. Some are nervous to start with, but my careful tuition will make you a safe and confident driver just the same as any without the nervous start. My one to one lessons are of a minimum 1 hour length but can be extended to suit individual needs. Are you taking your time or do you only have a limited amount of time available? 2 hour length lessons do not suit everyone but often the longer sessions of practice can lead to a quicker understanding and more confidence also the more frequent they are means that you spend less time trying to remember what you learned in previous sessions. If you already have experience and only want to build on that or have failed a previous test then try a short course of 5 to 20 hours over a 1 or 2 week period. An assessment lesson will help you decide on the best way to go. If you already have a test booked please book an assessment lesson in good time so that you give yourself every chance to arrive at test standard by your test date. Visit the Pass Plus page to read directly from the Government Website about the advantages of adding this important course to your skills after you’ve passed your test. For further information or to book that all important first lesson, call Natalie Slator School of Motoring. You can phone on 01322 445512 or phone or text on 07973 877110, or email via the ‘Contact’ page on this website. In the UK, driving tests are conducted by the Driving & Vehicle Standards Agency (DVSA). Check out the website at www.gov.uk, then click on the link for Driving and Transport. This contains all the information that learners and new drivers need to know. Before you can learn to drive a car, moped or motorcycle you must apply for a provisional driving licence. If you already hold a valid full driving licence and want to learn to drive larger vehicles, minibuses or buses you will need to apply for provisional entitlement for these vehicles. You have to be 17 years of age to obtain a provisional licence, but you can apply up to three months before your 17th birthday. You can apply for your first provisional driving licence for a car, moped or motorcycle using the government’s secure and easy to use online service at: gov.uk/apply-first-provisional-driving-licence Or the application form (form D1) can be obtained from your local Post Office if you would like to apply by post. 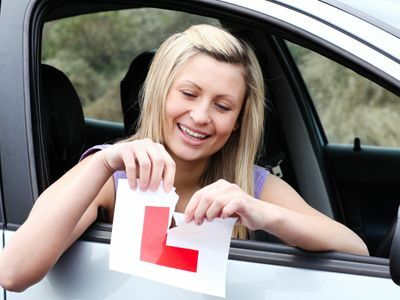 The practical test will last approximately 40 minutes beginning and ending at your local Driving Test Centre. Throughout the drive, you are permitted a maximum of 15 driver faults. A serious or dangerous fault would result in a fail. We will work with you to agree on a test date, making sure you feel ready and ultimately confident to drive alone. We will do practice mock-tests so we can focus on any areas that need brushing up before test day. We are happy to book a driving test on your behalf, but if you would like more information go to: gov.uk. The current test fee is £62.00 weekdays and £75 evenings and weekends. Pass Plus is an established training course aimed at new drivers. It was designed by the Driving & Vehicle Standards Agency (DVSA) with the help of insurers and the driving instruction industry. Statistics show that new drivers are more likely to have an accident in the first two years after passing their test. This is because of their lack of driving experience. Pass Plus builds on your skills and knowledge. It will teach you how to anticipate, plan for and deal with all kinds of hazards, to help you become a more confident driver. You can take a Pass Plus course at any time. However, it’s mainly aimed at new drivers in the first year after passing their test. Some insurance companies may offer a discount on successful completion of the course. Check out gov.uk/pass-plus if you would like more information. I am quite happy to pick you up and drop you off anywhere in the local area, school, college, work or shops. My lesson times are flexible, meaning you can fit the lessons around your weekly schedule. Call to arrange your lessons today. I make sure that the lessons are enjoyable, so that you learn to drive in a relaxed atmosphere. I offer prices which are competitive with any local business, plus I am fully insured. I do not give away free hours to con you into taking lessons with my driving school. There are often strings attached to those offers that are not always mentioned or easily seen at the start of the course so look into them carefully. Abbey Wood, Belvedere, Thamesmead, Plumstead, Woolwich, Charlton, Blackheath, Lea, Mottingham, New Eltham, Eltham, Sidcup, Bexley, Bexleyheath, Crayford, Erith, Slade Green. £25.00 – a single lesson. £24.00 (£120) – 5 lessons. £23.00 (£230) – 10 lessons. £22.00 (£440) – 20 lessons. to be taken as 2x3 or 3x2 hours. Driving Schools Bexleyheath, Natalie Slator School of Motoring, Tuition Sidcup, Lessons Thamesmead, Driving School Belverdere and Erith.